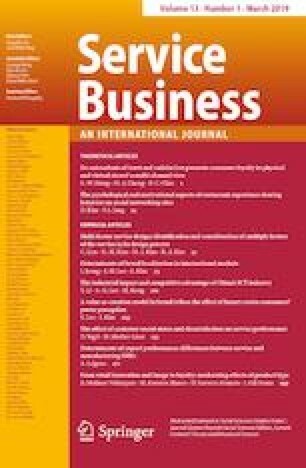 Based on empirical results involving 237 frontline service employees (FSEs) of a South Korean insurance company, this study reveals how FSEs’ views of their company’s corporate social responsibility (CSR) performance impact both their customer orientation and self-efficacy of their work. This marks the first study to demonstrate how the psychological mechanisms of CSR vary by stakeholder perspectives. CSR initiatives aimed at internal stakeholders (i.e., employees) made a stronger impact on FSEs’ beliefs to successfully perform their jobs. CSR initiatives directed at helping charitable organizations and other groups of external stakeholders were shown to strengthen FSEs’ customer orientation. Strengthening FSEs’ levels of empathy and self-efficacy diminish their revenge intentions in response to dysfunctional customer behavior. My company is committed to using a portion of profits to help nonprofits. My company gives back to the communities in which it does business. My company integrates charitable contributions into its business activities. My company is concerned with improving the general well-being of society. My company is concerned with respecting and protecting the natural environment. My company pays fair salaries to its employees. My company offers safety at work to its employees. My company treats its employees fairly. My company offers training and career opportunities to its employees. My company offers a pleasant work environment (e.g., flexible hours). I try to empathize with the feelings of customers during service encounters. When providing service to individual customers, it is easy for me to see the experience from his or her perspective. During a service encounter, I usually try to put myself in their shoes. I try to understand the customers’ point of view when delivering a service experience. My job is well within the scope of my abilities. I feel confident that my skills and abilities are equal or exceed those of my colleagues. My past experiences and accomplishments increase my confidence that I will be able to perform successfully at this company. I could handle a more challenging job than the one I have now. Customers get angry to me even over minor matters. Customers often shout at me and my co-workers. Customer personally attack me verbally. Some customers argue all the time. Customers are always complaining about us. Customers make exorbitant demands to me. Customers do not understand that they have to comply with certain rules. Customers insist on making demands that are irrelevant to their service. I often intend to do something bad to my customers. I often intend to take action to get customers annoyed. I often intend to cause inconvenience to my customers. I often intend to punish my customers in some way.